Editor’s Note: A previous version of this story erroneously reported information about Joe Houchin, who has followed the cruise industry for decades. Houchin writes a monthly economic impact blog about the home port for Sonoran Resorts. The story below has been updated to reflect the correct information. Clients who used a previous version of the story are asked to run the correction that be found here. 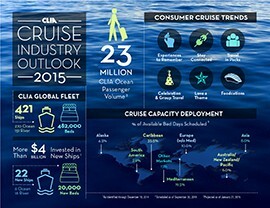 Experts estimated 23 million people would take ocean cruises in 2015, according to Cruise Lines International Association Inc., a cruise industry association. The busiest port of entry in Lukeville, Arizona – off of State Route 85 – recorded 750,000 crossings from the U.S. last year, Guevara said. The sound of heavy machinery scraping against rocks and an overwhelming smell of diesel fuel invade an otherwise serene desert beach where Mexico will spend roughly $100 million building its first cruise ship home port. 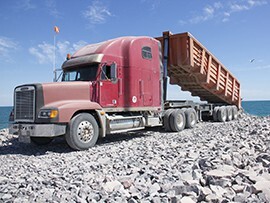 The Mexican government chose to build the port in this sleepy beach town – better known as Rocky Point – because of its proximity to the United States and potential to become an international tourism destination. “It is the most important project the city has ever had,” said Miguel Guevara, director of promotion and international affairs for the city. 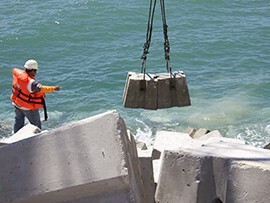 Construction workers spend their days dumping rocks, making concrete blocks and placing them along the breakwater to prepare the port for a January 2017 opening. Officials said they hope the roughly mile-long port will tap into the growing cruise ship industry by offering passengers an opportunity to explore the Sea of Cortez. Supporters said the port could attract 3,000 new weekly visitors and transform the city’s economy. However, critics said the port could have a harmful impact on local residents, wildlife and biodiversity. 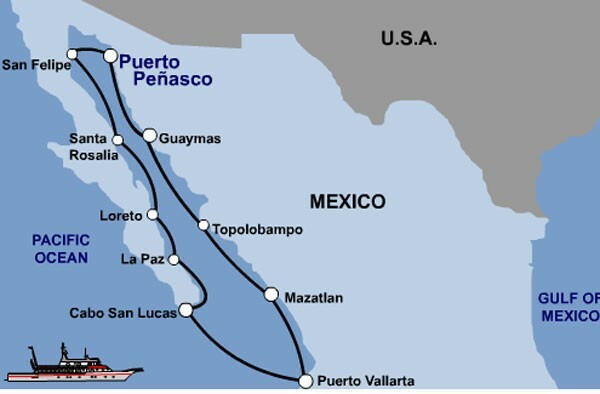 Rocky Point is about 200 miles southwest of Phoenix and Tucson in Sonora, Mexico, along the Gulf of California. Some have nicknamed the town “Arizona’s beach” because it’s a three and half hour drive from both cities. Tourism in the town, historically driven by fishing, is increasing with a majority of the town’s visitors coming from Arizona. Guevara said tourism dropped after the 2009 recession and although the city has not fully recovered, some have seen impressive gains. “For the last six months or more, we’ve been busy every single week,” Glover said. Residents said there’s been talk around the town about the home port for decades, but many people didn’t take it seriously until recently, after construction began in December 2013. The government has already spent roughly $40 million on the port, which is about 50 percent completed, Guevara said. Mexican authorities support the project because it will benefit the entire country’s economy, said Jose Luís Castro, director of port operations for the Sonoran government’s tourism department. Castro said money would flow into cities situated on the cruise ships’ routes, like San Felipe, Cabo San Lucas and Mazatlan. Joe Houchin, who has followed the cruise industry for decades, said the cities have opportunities for repeat visitors because 80 percent of cruise goers choose land vacations based on the destinations they visit on a cruise trip. Castro said millions of the country’s residents want to take a cruise, but don’t have visas – leaving that market largely untapped. In addition, officials hope to attract millions of international visitors annually. “Our main market is and will always be Arizona, but the home port will bring people from other states to come and start their trip on the Sea of Cortez,” Guevara said. The proximity to the U.S. made the town an ideal location for the home port, said Gustavo Brown, owner of Sandy Beach Resorts. “With half a tank full of gas, you’ve got a whole family at the destination,” Brown said of Arizonans. Brown donated 12 acres of land for the construction of the home port and terminal on Sandy Beach, just west of the tourist strip. “Our dream is to create a mega tourist resort in which we could have people from all around the world to come see us,” Brown said. Hotels and condominiums line a strip of oceanfront property, distinguishing the town as a tourist destination except Rocky Point is on a much smaller scale compared to cities like Cancun and Acapulco. Although other resort towns serve as popular ports of call for cruise ships, Rocky Point’s home port will serve as a departure and arrival point for passengers. It will start small and eventually host 3,000-passenger ships. Officials said they brought in the best contractors in the world for the project, which will include a state-of-the-art terminal and convention center. Guevara said he hopes the port will provide a catalyst for new projects in the town. He said this is the first test to see what Mexico can do with the cruise industry. “There’s a need for new routes for cruises,” Guevara said. Passengers would get a unique view of the uncharted waters of the Sea of Cortez, Castro said. “The cruise liners also suggested (the home port) because it’s an area where they haven’t exploited,” Project Administrator Wendy Winzer said. Houchin said some cruise goers have seen the same routes dozens of times and the growing industry needs to offer new destinations. In 2009, about 17.8 million people took cruises. In 2013, that number grew to 21.3 million passengers, according to Cruise Lines International Association, an industry association. Last year, major cruise lines added 22 new ships, which made room for 20,000 more beds, according to the association’s website. Houchin, who lives in Puerto Peñasco, said cruise liners are building bigger ships to accommodate the increasing passenger volume. “They will send the smaller ones to more exotic destinations, such as Puerto Peñasco, we hope,” Houchin said. Houchin writes a monthly economic impact blog about the home port for Sonoran Resorts. He said people should expect major airlines to begin applying for landing rights at the Puerto Peñasco International Airport. Major cruise liners did not respond to requests for comment but Castro said authorities are in contract negotiations with several liners – including Carnival, Princess, Royal Caribbean and Holland America. However, some cruise liner officials expressed concerns over the small town’s ability to accommodate an influx of visitors. If tourism swells to the level officials hope, the city will need to improve hotels, roads and airport accesses, Castro said. “I think the city is not ready yet,” Guevara said. However, Guevara said the infrastructure and supplies would be ready by the time the port opens. “We can bring all the components together really fast,” he said. 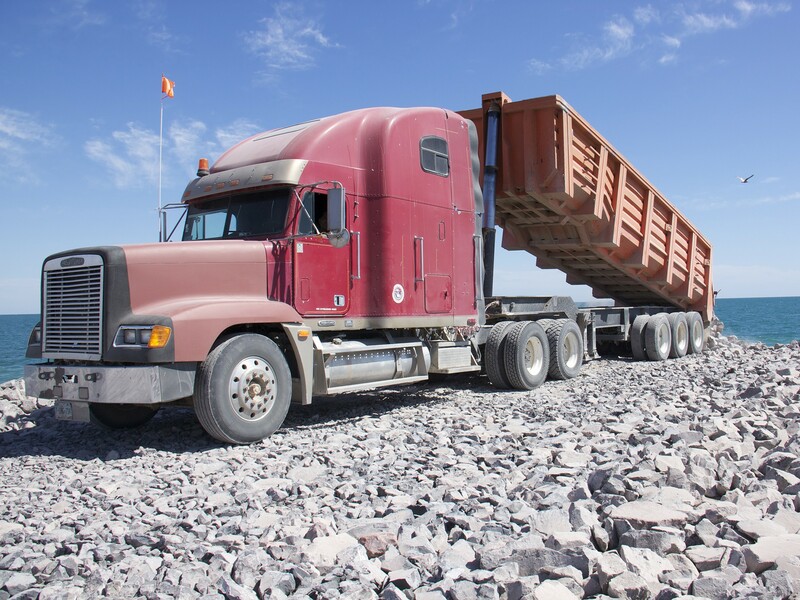 Those involved with the project said the port will have an economic impact on both sides of the border and bring in much-needed jobs to the area. “(Puerto) Peñasco is the closest beach to El Paso, Texas,” Brown said. He said the home port presents economic opportunity for Arizona because tourists would drive through the state to get to the port. “We are in the same region. What’s good for Arizona is good for Sonora, what’s good for Sonora is good for Arizona,” Guevara said. Once the home port opens, it will generate about 2,500 direct jobs and 5,000 indirect jobs in the first two years of operation, Guevara said. And the project has brought construction jobs as well. Winzer said there are nearly 100 people working on the port. “It’s been a good thing because a lot of people really needed the work,” Winzer said. She said many are working around the clock, in two shifts, making the concrete cubes that are the foundation of the structure. There’s a possibility of more 24 hours shifts if they need to increase production, she said. Mary Snyder, director of sales and marketing for Puerto Privada Luxury Waterfront Condominiums, said when it opens, the port would send property values soaring in the town of 60,000 people. She said this would be a good thing for the thousands of Arizonans who own properties in the area. Guevara and Snyder said the hikes would not affect local residents because increases would apply to beachfront properties, which many locals already can’t afford. Officials delayed the project early on because cruise liners had concerns about the depth of the port, Castro said. Winzer said they have overcome industry concerns and workers have been back at it since November 2014. However, the delay heightened skepticism among the doubtful locals. Unfinished projects ¬– vacant condominiums and hotel renovations – dot the landscape. Locals said it’s not unusual to see construction come to a halt. Guevara said because the port is federally funded, it would be finished. Critics said the home port will amplify inequality in the town. Everyone sees the islands of luxury surrounded by a sea of poverty. Condos and high-rise hotels tower over the shacks of the disenfranchised. Residents are also worried about the effects the port will have on fisherman. “Traditional users, landowners and fishers who depend on marine and coastal resources for their livelihoods, are often not consulted during these processes,” the Intercultural Center for the Study of Deserts and Oceans said in a statement. The Tucson-based nonprofit organization initiated a project with local fishers and government agencies to develop a 10-year plan for coastline use to reduce conflicts and sustain fisheries. The research center said the environmental changes the port will cause would affect important fishing grounds. The center also expressed concerns about the hazards the port would pose to a nesting site sea turtles occasionally use. Winzer said they are trying to mitigate ecological disruptions. Hill said there was a noticeable change in the wildlife in the area. Workers have spotted many whales, dolphins, seals and locals watching construction on the port. Everyone is curious to see what happens on Sandy Beach. Rocky Point is a big destination for people in Arizona seeking a beach spot. Now, a project to create a cruise ship port is in the works. 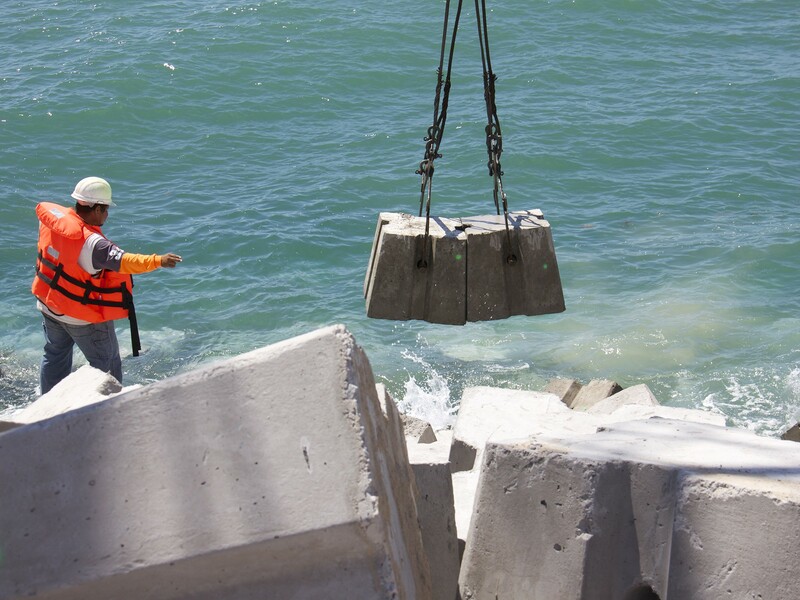 A worker helps a crane operate place a concrete block along the jetty. 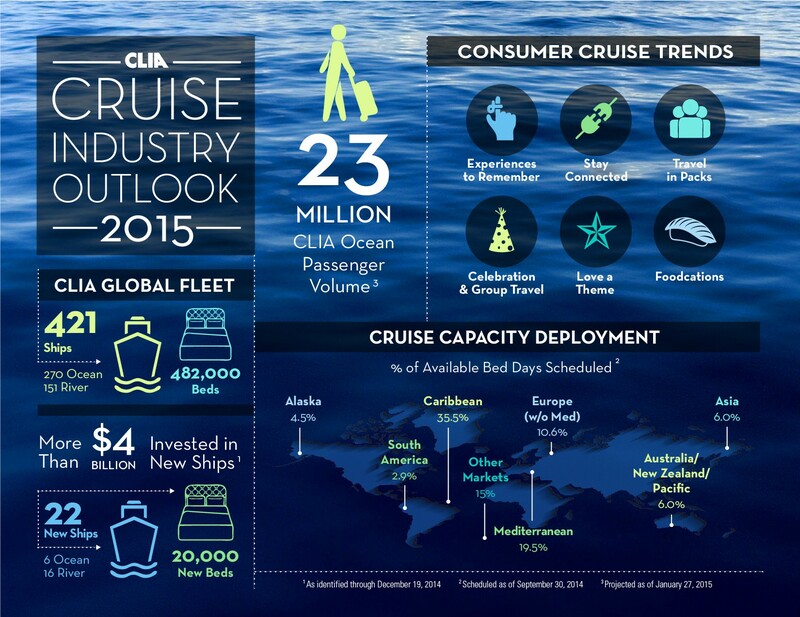 This infographic shows the outlook of the cruise industry for 2015. Critics said the port could have a harmful impact on the locals, wildlife, environment and biodiversity in the area. 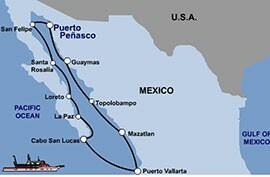 The proposed destinations are shown along the cruise ship's route.